View More In Coffee Grinders - Page 5. The Bistro blade grinder is equipped with a powerful motor that allows the stainless steel blade to cut the Coffee beans quickly and efficiently, resulting in flavorful ground Coffee. The transparent lid allows users to see the coarseness of the Coffee while grinding, as the longer the grinding time the finer the resultant ground Coffee. Ideal for using in 60 second intervals, users can grind just enough Coffee needed for brewing 8 Cups in a Bodum press at the simple touch of a button. The Bistro blade grinder can also be used to grind spices. Available in black, red, and white. 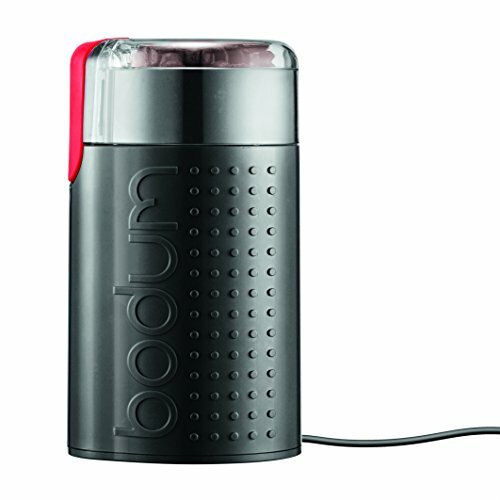 If you have any questions about this product by Bodum, contact us by completing and submitting the form below. If you are looking for a specif part number, please include it with your message.